Develop promotional materials for the Music Business Department (posters, program covers, etc.). Design promotional materials for the Music Business Degree at Greenville College. May also help with content (posts, photos, videos, etc.) 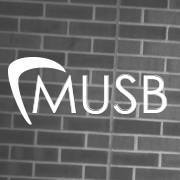 for the MUSB social media accounts based on the abilities of the individual. The ideal candidate is an ambitious conceptual thinker with strong graphic design skills, can promptly meet deadlines, and is detail oriented. Must be willing to work with the Music Business program director, display a passion for music, and maintain a positive attitude. Contact Danara Moore (danara.moore@greenville.edu) for more information.